The following letter has been sent by RCIR today to the President of all FIFA member associations. We call on you to support the proposal by the Palestinian Football Association to strengthen Article 3 of the FIFA Statutes. The proposed change includes sanctioning, by suspension or expulsion, any member association whose actions do not reflect FIFA’s commitment to international human rights. FIFA can be justly proud of the initiative it took in 1961 to prohibit discrimination on racial, religious and other grounds. This initiative, in Article 4 of the Statutes, specifies the sanction of suspension or expulsion of any member association contravening this Article. The article has real teeth. We believe that Article 3 also needs teeth. A sanction, by suspension or expulsion, for human rights abuses would greatly strengthen FIFA’s commitment to human rights. The need for strong commitment was fully recognised in the Ruggie report to FIFA in April 2016. https://www.shiftproject.org/news/independent-report-fifa-news/. It pointed out how FIFA needed a cultural shift towards “good governance” and how “FIFA now has an even greater responsibility to reach out and touch the world, using football as a symbol of hope and integration.” In particular, it pointed out the need to address football’s “increasingly predictable human rights risks”. 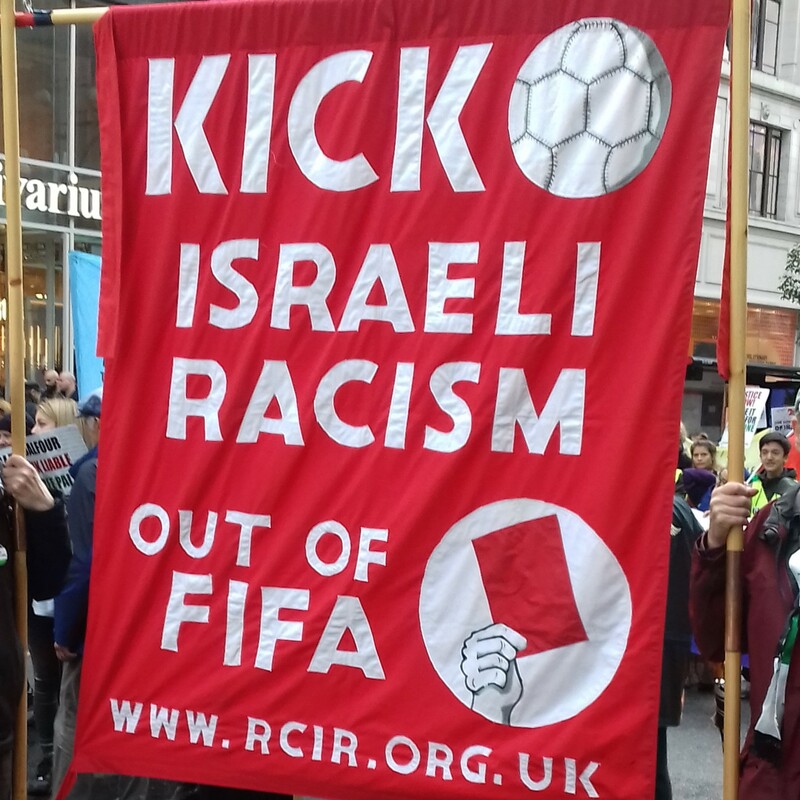 As the world knows, Palestinian footballers have suffered abuse of their human rights in many different ways and on multiple occasions during decades of Israeli Occupation. Our website http://rcir.org.uk details many of these abuses. All peoples must have inalienable right to play the “beautiful game”.